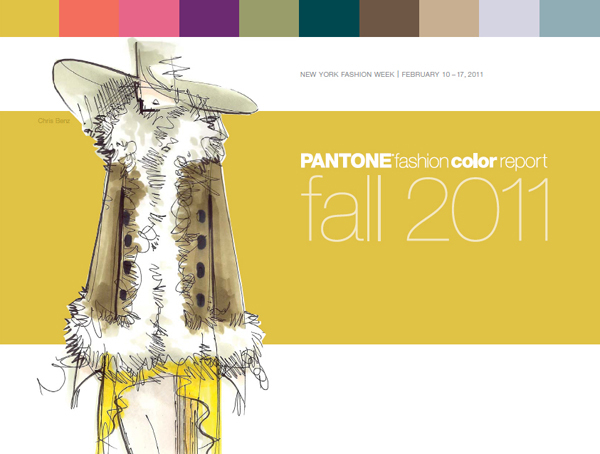 For over 17 years, Pantone, the global authority on color, has surveyed the designers of New York Fashion Week and beyond to bring you the season's most important color trends. 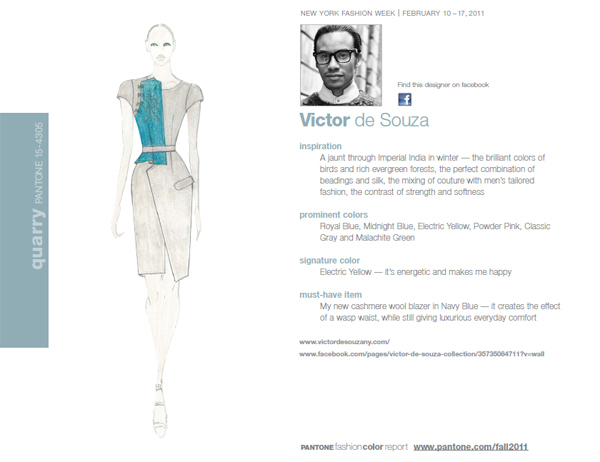 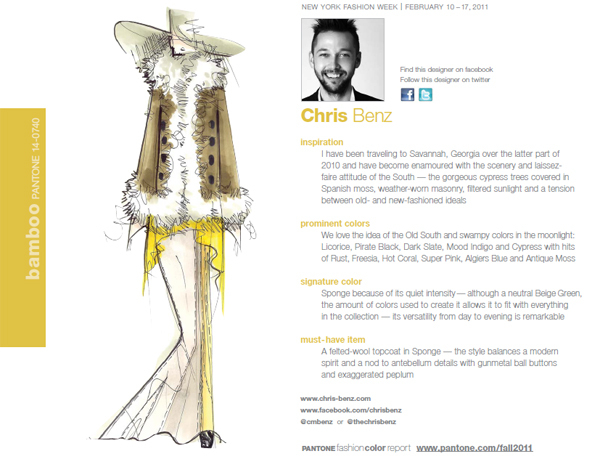 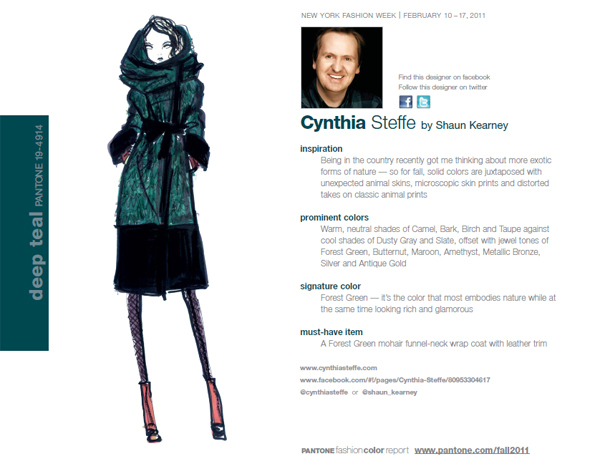 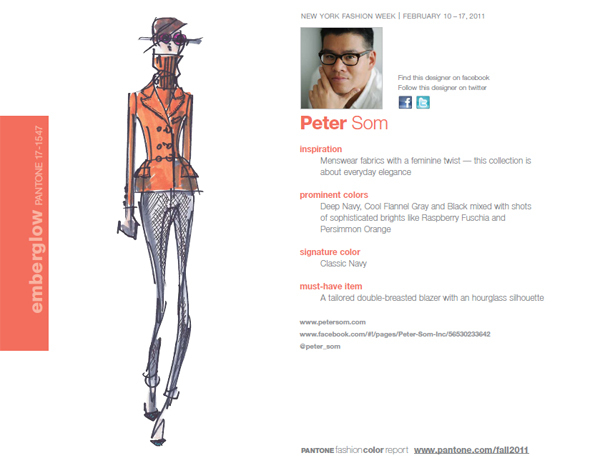 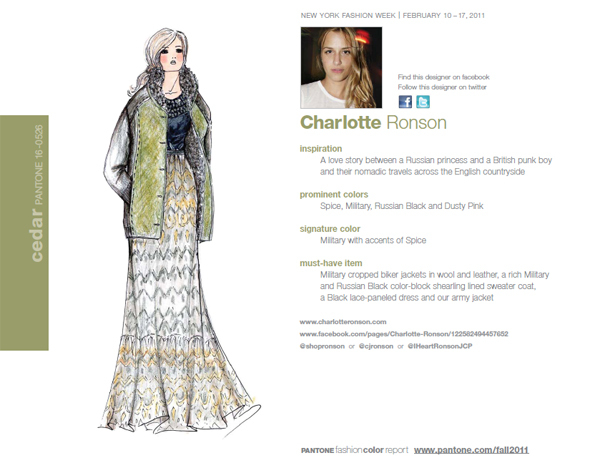 This report previews the most prominent hues for fall 2011. 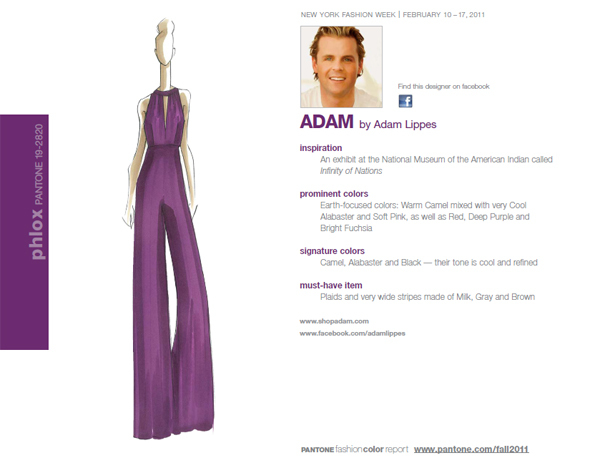 Phlox, a magical, deep purple with a hint of mystery, is an outstanding statement when worn on its own. 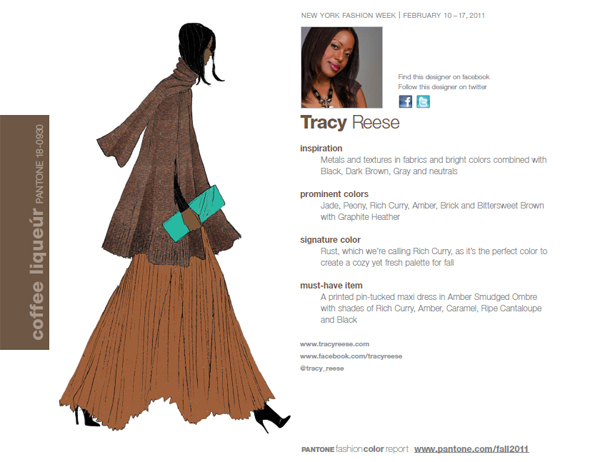 Add Phlox to this season's neutrals to create a bit of drama, or combine it with Cedar, Deep Teal or Coffee Liqueúr for something extraordinary. 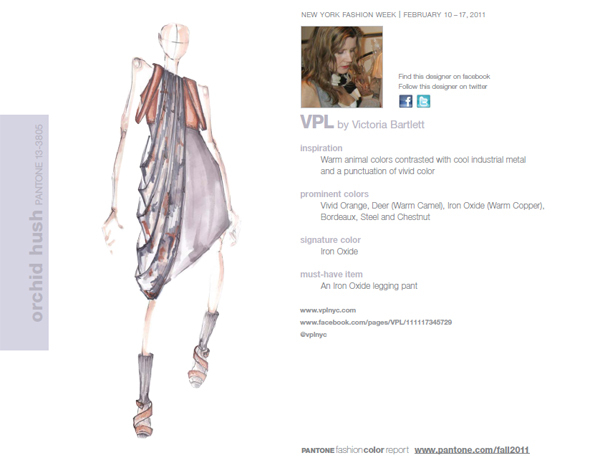 To add even more excitement, pair Phlox with Honeysuckle or Bamboo against a Cedar background – a combination inspired by Mother Nature.